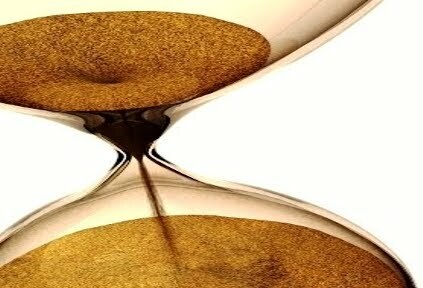 So why now – Did the End Times Clock start counting in May 1948? The goal of this article is to present a short summarized list of a few of the prophecies current being studied to explain why there is such a frenzy in the Christian World today concerning research of the End Times. Current fulfilled prophecies push Biblical Researchers to think now is the season of the return of Jesus to the Earth. Many scholars have spent a lifetime on each theory, and there are volumes of books and studies on each point. This short list is an attempt to answer the question by providing a few of the prophecies coming to pass today. The End Times Clock started counting in May 1948 when Israel was restored as a nation. Israel takes back Jerusalem 1967 war – Luke 21:24 Jerusalem shall be trodden down of the Gentiles, until the times of the Gentiles be fulfilled. The Clock starts with command from Cyrus\Artaxerxes to rebuild Jerusalm after the Babylonian captivity. 7-weeks (7×7=49 years) and 62-week (62×7=434-years) = 483 to Jesus in Jerusalem – 69 weeks. The Clock stops after the Crucifixion – Luke 4:16, Jesus only read half of Isaiah 61:1. 9:27 The clock starts again (last 7 years) when the people that destroys the temple in 70 AD (Romans) are revived as a World Power. The Romans destroyed the Temple in 70 AD; The EU – European Union is the Revived Roman Empire today. The EU will broker an international sharing agreement with Israel for Jerusalem and the temple mount which starts the clock for the last week countdown. The Beast with seven heads and ten horns (Revelation 13:1), (Daniel 7:16-24), The ten-nation confederacy is also seen in Daniel’s image of the statue in (Daniel 2:41-42), where he pictures the final world government consisting of ten entities represented by the ten toes of the statue. Each fiftieth year is a Jubilee year. Thus, 50 Great Jubilees x 120 = 6000 years. The 120th Great Jubilee Year will be 2017\spring 2018. A 200 million man army from the Kings of the East is now possible. The prophecy was written in the first century when the entire global population was “about 300 million”. China now has an army of that size. Chairman Mao boasted in the 1960’s of an army of two hundred million men. Revelation 16:12And the sixth angel poured out his vial upon the great river Euphrates; and the water thereof was dried up, that the way of the kings of the east might be prepared. The Euphrates River is literally now able to be completely “dried up” as predicted for the End Times. This is because of the Anatolia Dam Project in southeastern Turkey. In order for China to make its way towards the “place of Armaggedon” (Rev.16:16) in the End Times, the river is dried up. The next seven year cycle begins on Rosh Hashanah on Sept. 30, 2008, and ends on Rosh Hashanah on Sept. 13-14, 2015. A rare event is coming up in years 2014 and 2015, four back to back blood red moons will occur on Passover and Succoth. Lunar eclipses often cause the moon to not disappear completely but turn shades of orange and red. There were blood-red moons on the first day of Passover and the first day of Sukkot on back-to-back years seven times since 1 A.D. Three of these occurrences were connected to 1492 (the Spanish Inquisition), 1948 (statehood for Israel and the War of Independence), and 1967 (the Six-Day War). This phenomenon is extremely rare, for this pattern of eclipses to fall on both Passover and Sukkot in two years in a row. Joel 2:31 – The sun shall be turned into darkness, and the moon into blood, before the great and the terrible day of the LORD come. The vision Zechariah saw of a flying roll with a lead basket in the end, containing fire, carried on stork wings, based in Shinar (Iran) parallels the events we see in the news today. Iran has obtained 19 BM25 Musudan missiles from North Korea. The Islamic republic can now hit targets in Western Europe and deep into Russia. Zechariah 5:1 Then I turned, and lifted up mine eyes, and looked, and behold a flying roll. The abolition of the Turkish Caliphate by Ataturk in 1924, and the secularization of Turkey created an open wound between the Arab/Muslim world and Turkey. Turkey’s efforts to become part of the European Union and its close ties with Israel and the U.S. antagonized the Arabs. However since recent leadership changes, Turkey has rejoined the Arab world through Syria. Iran, Syria, and Turkey have forge a strategic alliance envisioned by Bashar Assad (Syria’s President). This alliance fulfills the prophecy in Psalms 83 which leads to the inner circle war. The Muslim invasion of Egypt took place in AD 639. The invasion of Spain in took place in AD 711. The Afghan invasion of 1736. In 1453 Mehmet the Conqueror captured Constantinople in Turkey and put an end to the Byzantine empire. Suleyman the Magnificent whose armies reached Hungary and Austria planted the seed of Islam. The Islamic conquest of Persia AD(637-651) converted Iran and Iraq. The Safavid dynasty made Shi’a Islam the official state religion in the early sixteenth century and aggressively proselytized on its behalf. By 670, most of North Africa had fallen to Muslim rule. Today as the European countries strengthen their borders to discourage further Muslim invasion, the business of smuggling Muslims to Europe gets more lucrative. Last year France deported over 29,000 Muslim invaders. The European Union is implementing a stealth policy of the Islamization of the EU through mass immigration from Islamic countries, and through future membership of 75 million Turks, plus the EU’s planned enlargement to include even more Islamic countries. The return of Christ is a Christian belief. Muslims believe in the return of the Mahdi. The technology described in the Bible for the End Days has only existed in the past 10 years. This includes the ability to control commerce through credit cards and World Banks along with tracking the movements of all people through surveillance with satellites. The Book of Revelation describes not being able to buy or sell without the Mark of the Beast. Revelation13:17 – And that no man might buy or sell, save he that had the mark, or the name of the beast, or the number of his name. Revelation also describes all people on the Earth watching the murder of the Two Witnesses on TV. Revelation 11:3 –And I will give power unto my two witnesses, and they shall prophesy a thousand two hundred and threescore days – also Zechariah 4:11-14. Revelation 11:9 – And they of the people and kindreds and tongues and nations shall see their dead bodies three days and an half. Many Christian churches today fall under the type of the Laodicean church in Revelation(Rev.3:14-22) Luck Warm. The liberal secular agenda in the United States and Europe has pushed God out of schools, communities and history. The ACLU has become the strong arm of apostasy. The removal of the Ten Commandments on government property along with the constant law suits against churches, local governments and schools has pushed the United States from a Christian Nation to a Secular State.